You long to be part of what is described as “the literary establishment”, but you never will be. Other authors, swanning about smugly at a festival or a Royal Society of Literature reading, may cause a knot of rage and jealousy to form in your stomach, but they are worrying about being outside the establishment, too. You are lucky. You are doing something which, for all its agonies and uncertainties, allows you to lead a fuller life than you would otherwise have had. Rest of the list through the link; he hits on lots of the anxieties and joys in the writing process. 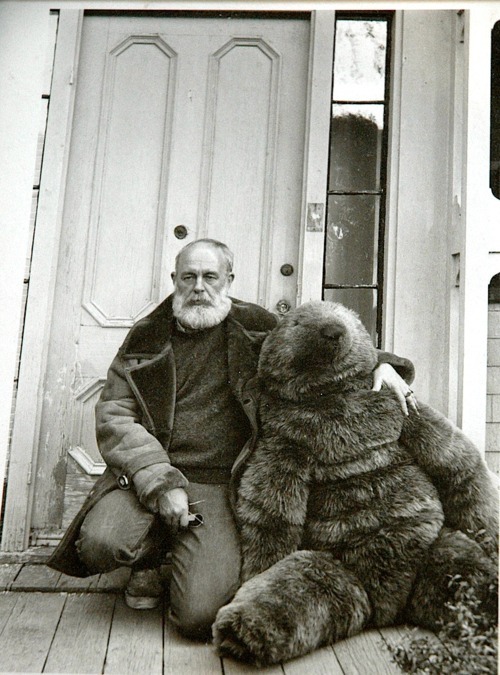 Edward Gorey, where did you get that giant teddy bear? Also, that’s some beard, sir. And why aren’t you happier with either one? Although Gorey and Neil Gaiman are included, I think we need a list of silly pictures of children’s/YA authors. Internet, do you accept the challenge? Welcome back to the Friday Fifteen, your favorite (only?) source of five fifteen-word reviews. Onto the books! Bought it because I like Green’s work; ended up being particularly touched by Levithan’s Will. Silly sounds and muddy fun in a cute picture book. My first cookbook. Perfect for new cooks, with useful “mom tips,” like what ovenproof means. My favorite Cinderella adaptation, full of charm. Don’t judge it by the movie. Click through for a list of other cool audiobooks to take with you on summer travels. Okay guys, executive decision time. I love the Friday Fifteens, but I think it’s time to take it down a notch. So far I’ve had sixteen Friday Fifteens featuring fifteen reviews, which means I’ve reviewed 240 books; I’m exhausted! Starting this week, the Friday Fifteen will review five books in fifteen words or less. All that fifteen-word goodness in a snappier format. Jane Austen meets Harry Potter in this epistolary novel. Such a treat! If you dream about teeth, it means you’re stressed. Or something. Can’t remember much. Me in seventh grade: “Why are they all named Jacques?” Had a crush on Sidney. Gorgeous collection of short stories; can see why this won the Pulitzer. Dug it, got the sequel, stopped reading when no characters from Sword of Shannara appeared. Finally Friday! Time for the Friday Fifteen, in which I review fifteen books in fifteen words or less. Captivating historical fiction with character struggles set against the backdrop of a real murder case. One of my favorite collections. Excellent essays from the people behind the journal Creative Nonfiction. 3. Let’s Go Amsterdam 3rd Edition by Let’s Go Inc. Helped guide me through Amsterdam; lent it to another study abroader who didn’t return it. My first Shakespeare (7th grade). Have read it a couple times since, still really fun. My dream as a kid. Minus the end. Gorgeously written, like any Faulkner novel. Plus it has an exclamation point. Eerie YA novel about a girl in Antarctica with her unhinged uncle. Surprisingly cute. Good as a gift for someone you like/love. Solid introduction to haiku, with good translations of major haiku poets. Victorian social hilarity and Wilde’s witty wordplay. Try not to laugh. More a series of linked short stories. Tan handles the mothers’ voices and stories best. What happens when your awkward friend wants to be a cheerleader? 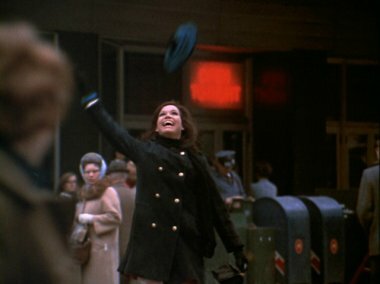 Elizabeth finds out. Anderson deftly handles Tyler’s voice and high school social complexities. Nice depiction of desperation. Sensible advice for crazy wedding situations. Made me feel a lot more sane. Adorable story about a gentle bull. Lovely art, too. What would a Friday be without the Friday Fifteen, in which I review fifteen books in fifteen words or less? Onto the books! Stevens might be one of my favorite literary characters. Manor house intrigue, excellent writing. People seem to love or hate Freudenberger. I thought her stories were fine, if forgettable. Possibly my favorite in the series, definitely my favorite twist at the end. Always a solid choice. Nice interviews with authors like M.T. Anderson and Maggie Stiefvater, too. New shoes are awesome, but what happens when they have laces? Sweet YA novel about accepting and finding strength in your past. The standard anthology for intro to creative writing classes. Apparently there’s a new edition. The first fifty pages punch you in the stomach. Moving and ultimately uplifting. Got it off the free table. Haven’t attempted anything, but the designs are all fun. The friends plan a birthday, get kittens. At eight I was the target audience. Dreamy and compelling, but ultimately less satisfying than I hoped. Chilling and extremely well-crafted poems. Talent transcends associated life drama. Cool art and funny story about mischievous bunnies. Weird in a good way. We all want to be the courageous thirteen-year-old captain of a ship. “. . . I get my very first fan letter. Someone read and enjoyed my book enough to write to me! Best. Day. Ever. Make sure to read through the whole list, because it’s awesome and a good reminder that being a writer isn’t about being on tour or having an agent or getting a Nobel Prize. It’s about writing. Another Friday, another Friday Fifteen, in which I review fifteen books in fifteen words or less. It became immediately apparently that Plath was way smarter at 18 than I’ll ever be. Love the vignette style, fantastic voice. Even jock senior boys in English class liked it. Feels forced in parts, but moving overall. Foer’s best novel so far. Made me very nervous as a child. People shouldn’t mess up your house! Hated it initially, then got pulled in by Gilbert’s voice. Some nice local history, too. First in a series; read these obsessively in fifth grade. My limit on horror reading. Poetical and historical bedtime reading in my household. Fun for New England kids! The first AG book I read, sparking enthusiasm for the series and the Victorian period. Some classic Dickensian style, but the ending fell flat for me. The title story is exquisitely eerie, others follow the same unsettling tone. A recent favorite. Love a heroine who’s not afraid to be clever, bold, and ambitious. I’m holding it in pictures from first day of first grade, so probably liked it. Summer reading for Bio, ended up enjoying it. Found out why beavers are so awesome. What’s your birthstone? When’s Yom Kippur? My source of all calendar knowledge as a child. No major surprises here, I’d say, although I’m surprised to see Frog and Toad in the top ten. I liked their stories growing up, but I wasn’t emotionally touched by them. And The Giver is only at #25, even though it’s one of the best books ever. That said, I am glad to see Tuck Everlasting so high at #16; I feel like usually it gets shuffled further down. What are your thoughts on the list? Does it reflect the best of children’s lit?